Training with you has (re)awakened my inner rhythms of heart and spirit! I feel amazing after class every time. 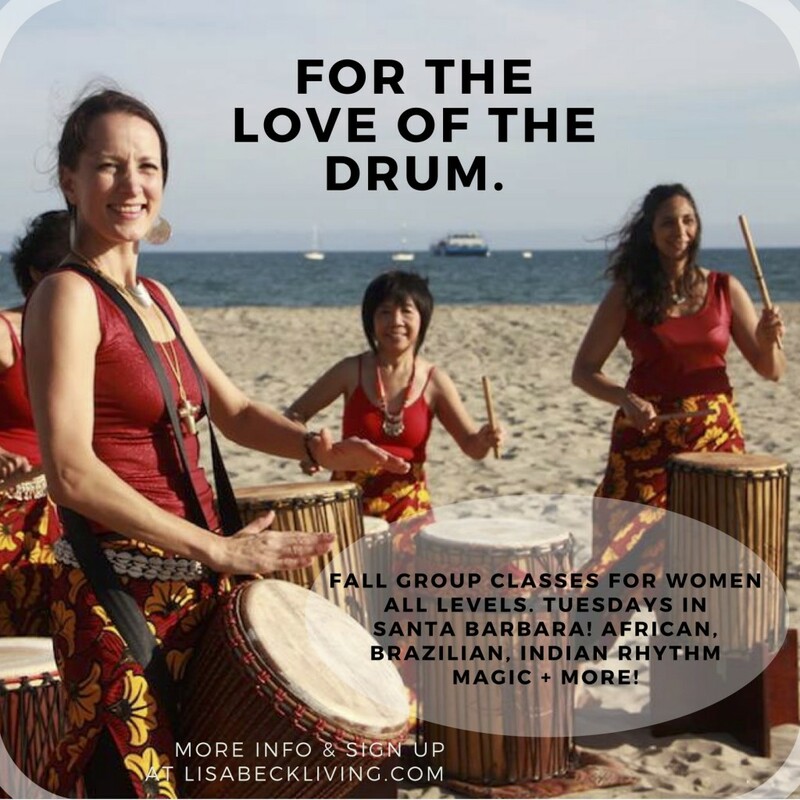 Your drum classes are unlike any other I’ve done before… the movement, dance and singing. It’s truly incredible and I’m grateful for it. Step into the wonderful world of women’s drumming! Learn rhythms for djembe and dun dun in Lisa’s unique offering. Move your body, laugh, release, learn and experience more JOY. This series is open to all levels of drummers. Beginners welcome. Inspired by West African, Japanese Taiko, Rajasthani, Brazilian Samba, Afro Cuban, Funk and much more. Learn original compositions and traditional rhythms. Classes include: full body warm-up, djembe and dun dun practice drills and technique practice, call and response playtime, dance and singing, too. Each session will focus on one original Lisa Beck composition and one traditional rhythm. Be prepared to laugh, connect and feel your heart fill up with JOY! Bring your drum or rent one from me. Space is limited. Sign up now!